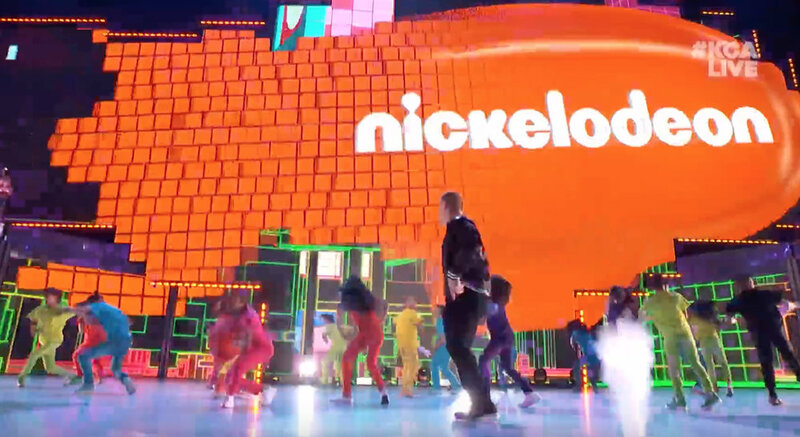 PBTV was pleased to be working again with Nickelodeon, this time on the recent Nickelodeon Kids’ Choice Awards 2018. Hosted by the high-energy John Cena, the wildly inventive Kids’ Choice Awards were taped at The Forum in Inglewood, CA. The scenic and video design imaginatively underscored the high-energy, colorful, and enthusiastic show. A viewer changing channels would instantly recognize this as the fun, slime-time Nickelodeon production. 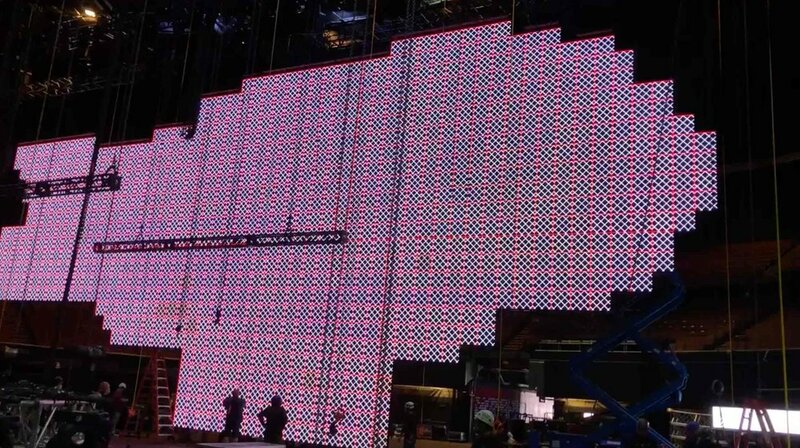 The PBTV team, which was led by Guy Benjamin and included Matt Ellar, Nick Faubion and Dennis ‘Jody’ Lane, built a massive 95' x 41' blimp-shaped screen out of 943 digiLED DLPo 5.9mm LED modules as the main centerpiece of the set. In addition to the large blimp screen, PBTV also supplied another 300+ digiLED DLPo5.9mm LED modules for six LED video carts around the stage, 200+ digiLED Mirage MC15 Transparent 15mm LED Modules for transparent, blow-through video, and 200+ digiLED DLPo5.9mm LED modules, along with 750 digiLED DLP adjustable curving brackets, for the SR and SL curved screens that lined the insides of the two curved staircases that encircled the stage. 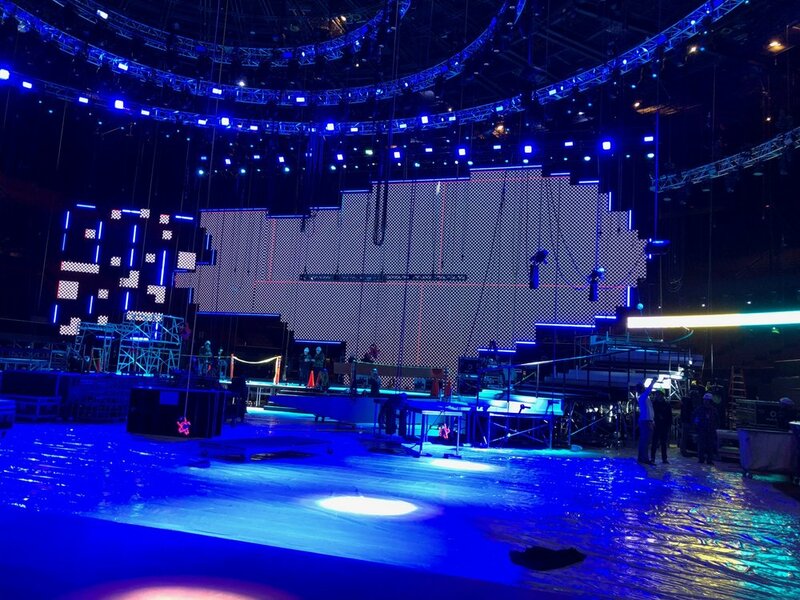 The package included NovaStar NovaPro HD processing for all of the screens, networking, power distribution, and all necessary cabling to make this video display system rock in support of this wild and colorful TV awards show.